I can’t believe it’s Thanksgiving already. That time of year when we stop to contemplate the year past. A time to celebrate and give thanks. 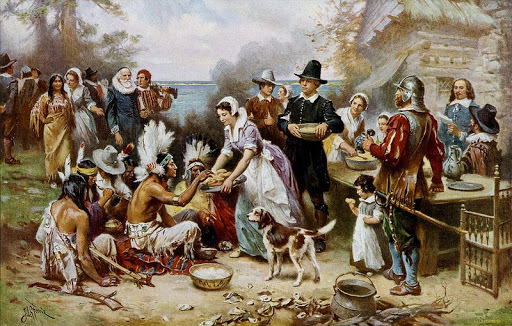 Although it didn’t become an official holiday until 1863, it’s believed the first Thanksgiving was celebrated in 1621 to give thanks to God for helping the settlers of Plymouth Colony survive their first brutal winter. The feast lasted three days with pilgrims and Native Americans breaking bread together and celebrating that which they had in common. Less than a year later, the Pilgrims and Indians were at war. The first battle was fought near Jamestown, Virginia in March 1622. The war soon spread to Connecticut, Rhode Island, and Massachusetts. And when the white man settled the west, the battles followed. Some wars are worth fighting. Others are not. But I am thankful for the country we have become and the obstacles we’ve overcome to get here. And I’m thankful for the men and women who’ve served in our armed forces or fought for this country from that first battle to those who are now fighting in the Gulf. I’m thankful for the Native Americans who fought to protect their lands and to those brave settlers who dared to conquer the west. Without such diversity and strength, where would we be as a nation? On a more personal note, I’m thankful for the love and support of my family and to God for putting them in my life. I’m also thankful to have held my first published novel this year. 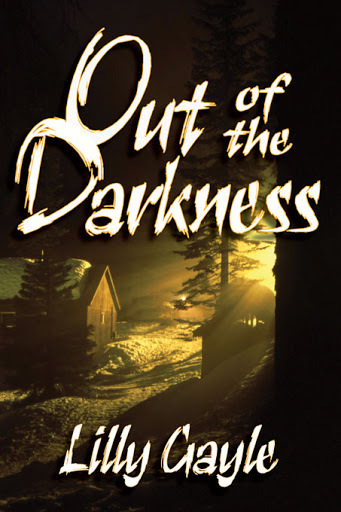 Out of the Darkness, a paranormal vampire romance, was released in May, and sometime next year, I will have a second book out. Slightly Tarnished is a historical romance and I’m so thankful to the editors of The Wild Rose Press for giving me a chance to fulfill my dream of publishing in two very different genres. Although, Slightly Tarnished does have a touch of the paranormal at the end. How could I resist? So, what are thankful for? Lilly, Happy Thanksgiving to you and your family! Hugs! Thanks Becky. HOpe you had a wonderful Thanksgiving too.